Albany’s historic water and electric plant on a sunny day. Last year and this, sad to say, have not been money makers for Albany Hydro. The generator had to be shut down much of the time, but it started spinning again this month. And the outlook for next year depends on whether we get a reasonable amount of mountain snow. The city restored power generation at the historic power house in 2009 at the cost of about $2.2 million, including $1.6 million for a new, Chinese-built 500 kilowatt generator. So I was happy to see the plant working again, and I asked City Hall about the money angle. Chris Bailey, the public works director for operations, gathered the numbers and got back to me by email with the details. “For fiscal year 2014-15,” she wrote, “we produced 557,802 kwh of electricity and received $41,312.36 in revenue from Pacific Power. These numbers are sharply lower than the previous fiscal year (1,633,473 kwh and $114,875.82). There are two main drivers for the lower numbers last fiscal year. “First, we were not able to operate the canal at the higher flows needed for hydropower during the months of October, November, and December 2014 because of an extensive repair project along the Vine Street section of the canal that lasted much longer than anticipated. This resulted in no power being produced during those three months when the generator would typically be operating. “Second, the curtailment of hydropower generation began earlier in the spring of 2015 than in previous years because of low water conditions in the South Santiam River. We have a requirement in the FERC hydropower license that requires the generation of hydropower to cease when the river falls below a certain flow level. In previous years, we were able to generate power through June before river levels fell below our required cutoff point. Operating the generator accounted for $56,200 in wages, Bailey told me. She didn’t have immedate access to other costs such as materials, but she was sure there were some of those as well. Back in the 1990s, when the city council decided to seek a 50-year federal hydropower license, the main idea was not to make money with the project but to secure the city’s water rights associated with the canal. Revenue from power sales would be a bonus and might help cover canal maintenance, the thinking was. Maintenance is an expensive item. Last year’s canal bank repairs Bailey mentioned cost the city $335,950. There have also been canal repairs/improvements done that were charged to other departments/accounts. These probably wouldn’t have been done, or done on a lesser scale, if the city wasn’t trying to “enhance” canal flow. Add those “hidden” costs into the mix! 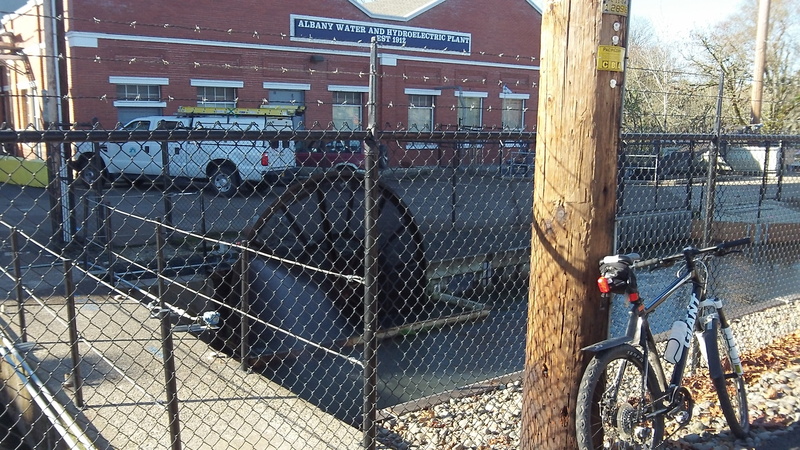 It’s hard to believe that the city wouldn’t have water rights to the canal without power generation. We’ve been drinking from that canal for how long? Happy Thanksgiving, Hasso, and everyone else. Isn’t it amazing the City would expend maximum effort to disrupt the NATURAL FLOW of the South Santiam River.